Most professional gemstone collectors began their careers as amateur collectors with a passion for colored stones. Indeed some of the most famous gem collectors in the world started out as amateur rockhounds. George Frederick Kunz (1856-1932), for example, had collected more than 4,000 mineral specimens by the time he was 20, and succeeded in selling his collection to the University of Minnesota. Kunz went on to become the resident gem expert at Tiffany & Co., and was a major force in popularizing colored gemstones in the jewelry business. But he never lost his passion for collecting and he collected rare gems for some of the great names of his time, such as Thomas Edison and J.P. Morgan. The Morgan collection was eventually donated to the American Museum of Natural History. When pink spodumene was discovered in California it was named Kunzite in his honor. We have helped many collectors develop their knowledge and discrimination and move up to investment grade stones. There are as many different strategies for collecting gemstones as there are collectors. 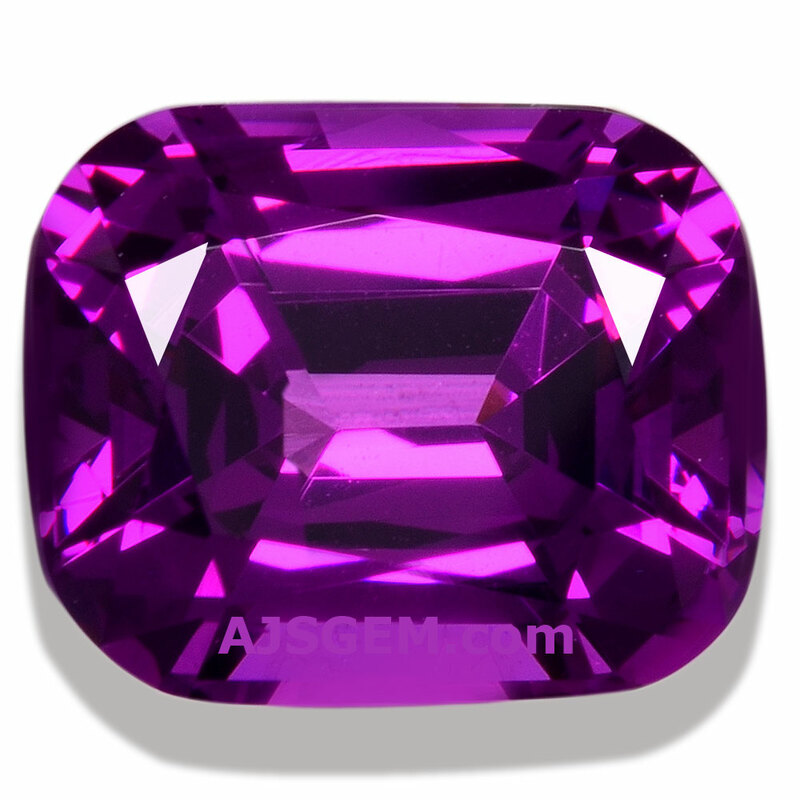 Astute collectors often focus on one kind of gemstone, such as rubies or sapphires or tsavorite garnets. This makes it easier to develop the specialized knowledge necessary to make subtle qualitative distinctions. It is not unusual as well for a collector to focus on a particular gem variety from a specific location, such as Burmese ruby or Ceylon sapphire or Russian demantoid garnet or Imperial topaz from Brazil. With the discovery of new colored gem deposits in Africa it is still possible to be an early participant in collecting stones from locations such as Madagascar, Tanzania and Mozambique. The recently discovered Mahenge spinels are already an important investment gem. Some rare and unique royal purple garnets that were discovered in Mozambique around 2016 are another example. Some gem collectors focus on breadth as well as depth. Collecting sapphires from all the important deposits around the world -- Burma, Ceylon, Madgascar, Tanzania, Thailand, Cambodia, Australia, Montana, etc. -- can be fascinating, and comparing stones from these different locations can really help one appreciate the unique characteristics of the material from each source. Some gem varieties, such as tourmaline, occur in such astonishing variety that the collecting opportunities are endless. Some collectors focus not just on rare specimens, but on rare varieties. There are some gem minerals that are so rare that only a small number of specimens are known to exist. They include varieties such as painite, musgravite, benitoite, jeremejevite, kornerupine, cuprite, pezzottaite, red beryl and poudrettaite. Some collectors collect mineral specimens as well as cut and polished gems. Though rare gemstones can be very expensive, it is possible to begin collecting colored stones on a modest budget. Many unusual gems are still inexpensive because the supply is so limited that no market demand is created for them. Many gemstones that are in good supply today will become rarer in the future as mines are exhausted. Time tends to be on the side of the collector. Savvy collectors understand that fine gems have historically appreciated over time, but that gemstones are not an especially liquid commodity. Like real estate, a particular stone cannot always be sold for a good price at the time you want to sell it. Gemstone collecting is really only for those with a true love of gemstones and the patience required to achieve a substantial return on the investment. To cite one of the most famous cases in the gemstone world, a Montana rancher named Warren Hancock bought a 0.95 carat red diamond from his local jeweler in 1956 for $13,500. After Mr. Hancock passed away, his family sold his rare red diamond at auction in 1987 for more than $879,000. Though Mr. Hancock never lived to see the day when his red diamond was sold for an enormous sum, we can safely assume he derived a great deal of pleasure from this remarkable stone during his lifetime.